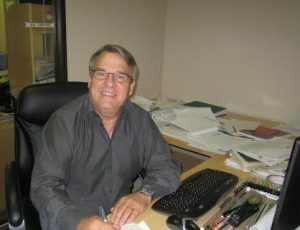 Gary is the most senior technologist in the organization, with over thirty years of unparalleled experience. Although such diversity in practical knowledge makes his involvement and input at various stages of a project extremely valuable, he is typically, heavily involved in the construction administration of the project while also supervising detailed design and working drawing production. In addition, Gary is a great mentor to our young engineers and draftsmen, feeding them with practical site knowledge and standardized industry practices, which helps them develop into a well rounded engineer and a highly-detailed draftsman. He is responsible for preparing details and construction management for various projects ranging from preserved wood frame buildings to multi story concrete structures. Gary also supervises shop drawing reviews, responding to RFI’s and changes/challenges during construction by suggesting practical yet efficient solutions for clients. Gary is a passionate carpenter and has been working on his personal cabin for some time now. He is also a life-long Manchester United fan and Monday morning usually start with some light-hearted banter.